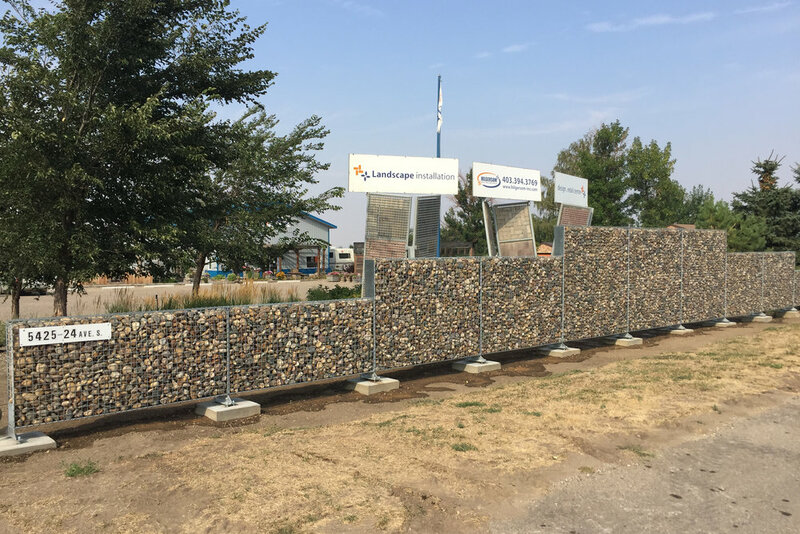 We are the only southern Albertan retailer of gabions at our southeast Lethbridge landscape centre. Come learn about this unique yard features. 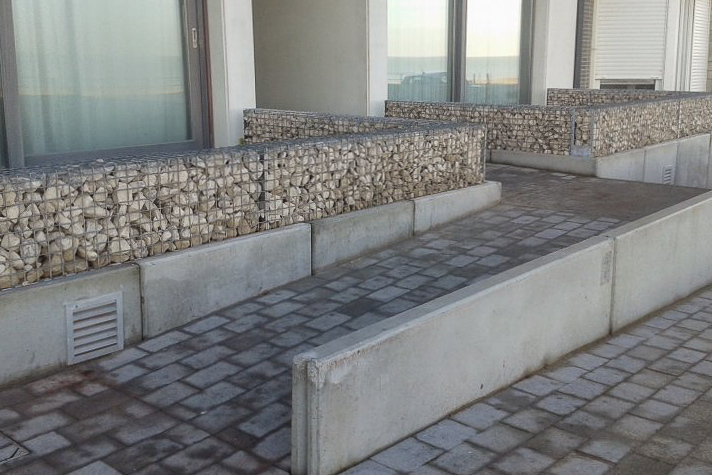 We sell Eccofence products. 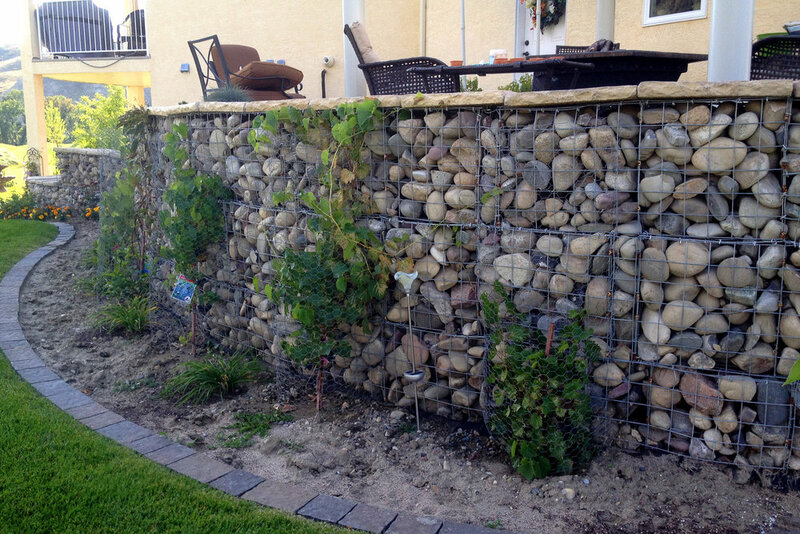 We're proud to introduce southern Alberta to EccoFence products. 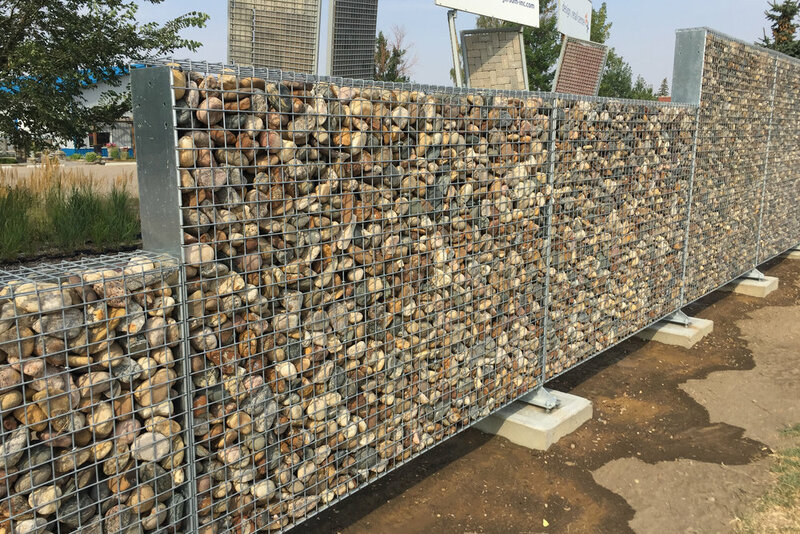 Gabions are fairly new to southern Albertan landscapes, but have been utilized in bank stabilization and erosion control for years. In simple terms, they consist of wire cages filled with aggregates or other materials to form solid masses and structures. 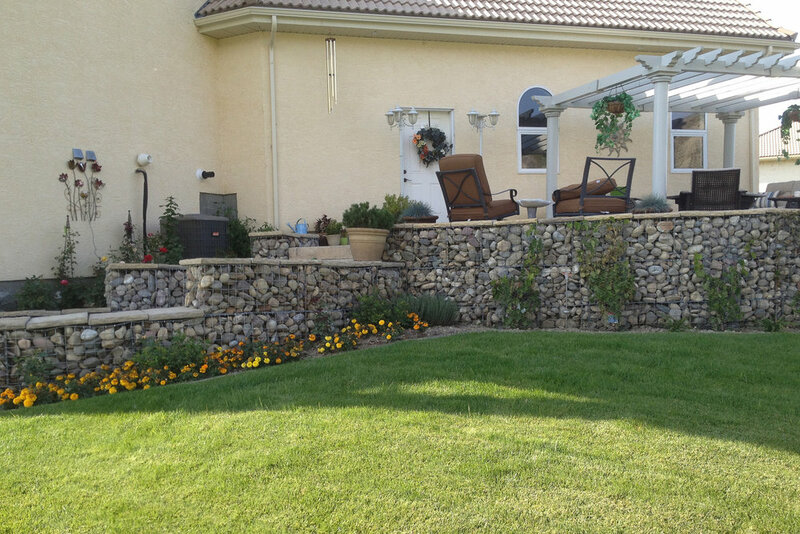 For the past decade, they have been a hot trend in European gardens, and now Hilgersom has made the product available to Lethbridge and area. 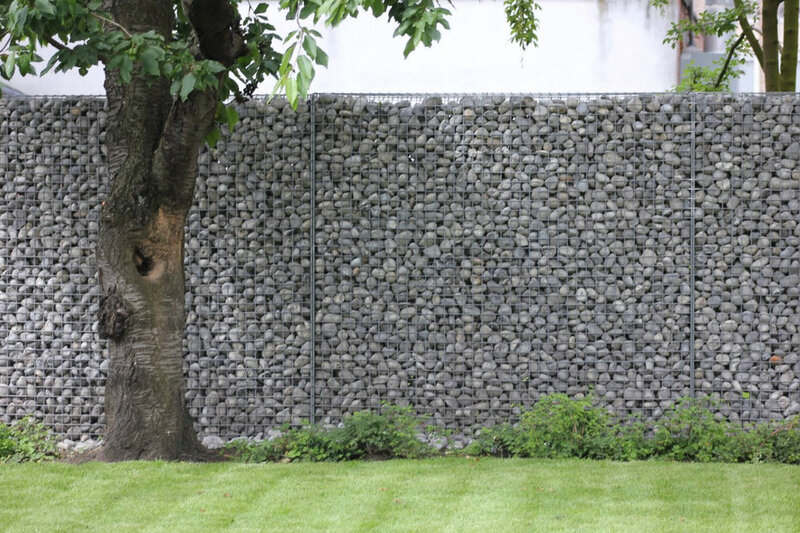 Gabions can be used to construct fences, retaining walls, and garden decorations. 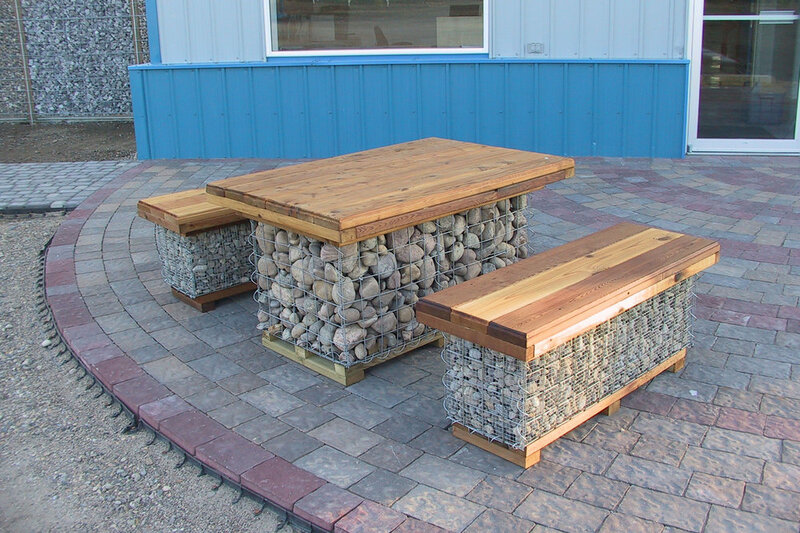 They are very low maintenance, unique, functional, customizable, look fantastic, and will complement any home or landscape depending on the style of gravel used. 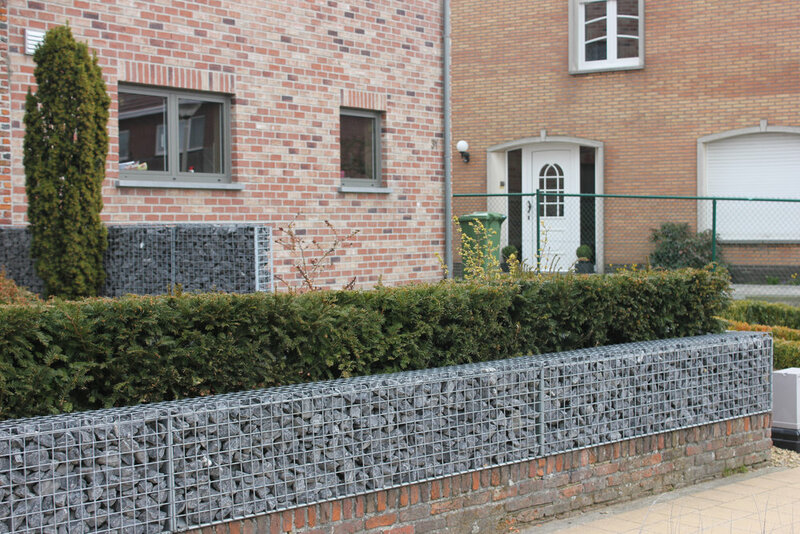 Click/Tap here for more information about EccoFence. 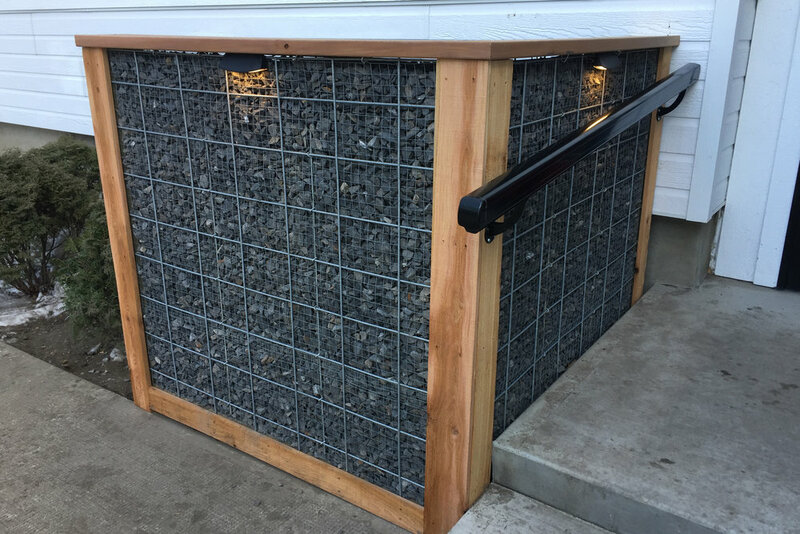 Hilgersom is a trendsetter in western Canada when it comes to gabions and is proud to offer the EccoFence product to our retail and contractor customers. 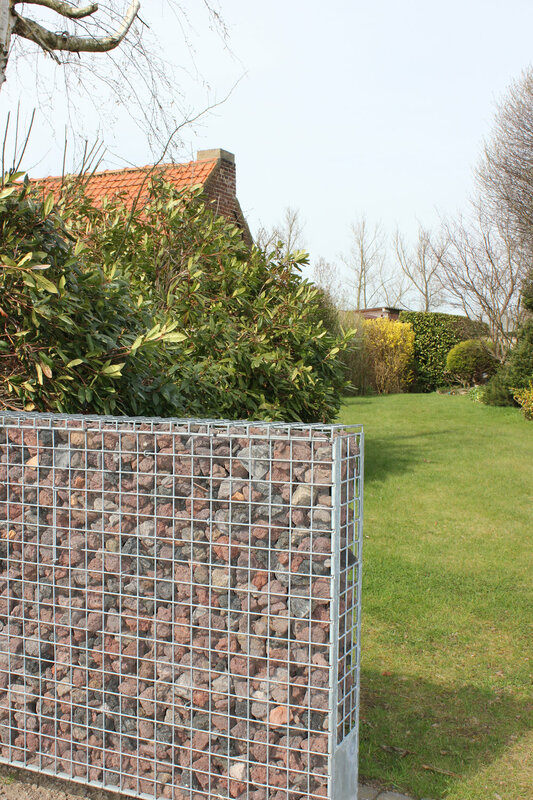 This gabion fencing product is easy to use and will give your yard a unique and functional vertical element that is virtually maintenance free!